FEATURES:Excellent slow fall, swimming head design with the addition of a Soft Bite weed guard. The Slo-Poke WeedMaster™ has no equal in weeds & wood. 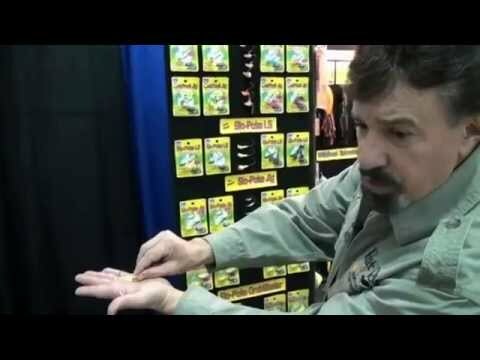 Tip with Live Bait or PowerBait and cast into structure. Fiber guard can be tuned to suit conditions. Mustad® Performance Hooks. Trimming and fanning the individual strands as illustrated will enhance hook sets and improve penetration into weeds and wood. The number of individual fiber strands can be reduced when fishing random weeds or weed edges. Fan out the individual strands wider when fishing timber and narrower when fishing weeds. Step 1. Trim back the length of the individual fiber strands so they are just above the point of the hook. Step 2. Fan out the individual fiber strands like a Turkey tail. Wider in timber, narrower in weeds. When it comes to fishing for Walleyes in the wood, I prefer the Slo- Poke WeedMaster over any other jig out there. Both the design and quality of the jig is superior. The eye of the jig is in-line and the weight distribution is centered on the hook, this allows for easy maneuvering over logs, limbs and through weeds. The fiber weed guard doesn't spook fish like other weed guards can, when they inhale the bait. 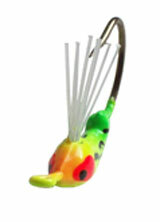 The WeedMaster stays horizontal on the retrieve and doesn't plunge head first like other jigs. This prevents snags and puts the jig in the right orientation for positive hook sets. The super strong Mustad hook penetrates quickly and easily into fish's mouth. WeedMasters can be cast right into the heaviest of snags and worked through and over most any obstruction. Spring is a great time to hit the wooded shorelines and early weed growth. Without WeedMasters, I wouldn't boat half of the Walleyes I normally would using other jigs. We have a large group of submerged trees on my lake and the weedmaster is the only jig I can successfully catch fish and not get snagged, I won�t use anything else. 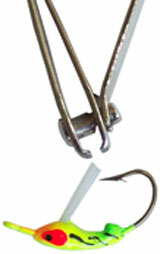 super strong hooks, a weed guard that can be modified for any fishing situation. 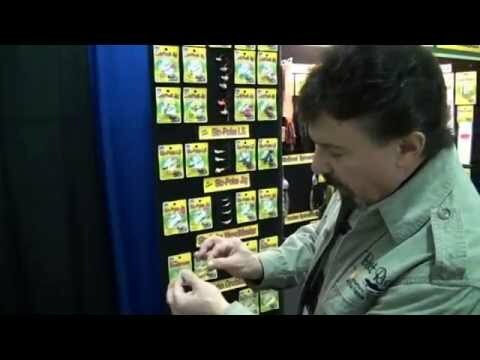 I use this jig to get deep into the thickest brush where the walleye and crappie live. its design proves to be outstanding at greatly reducing the number of snags I get without compromising hook sets on fish !